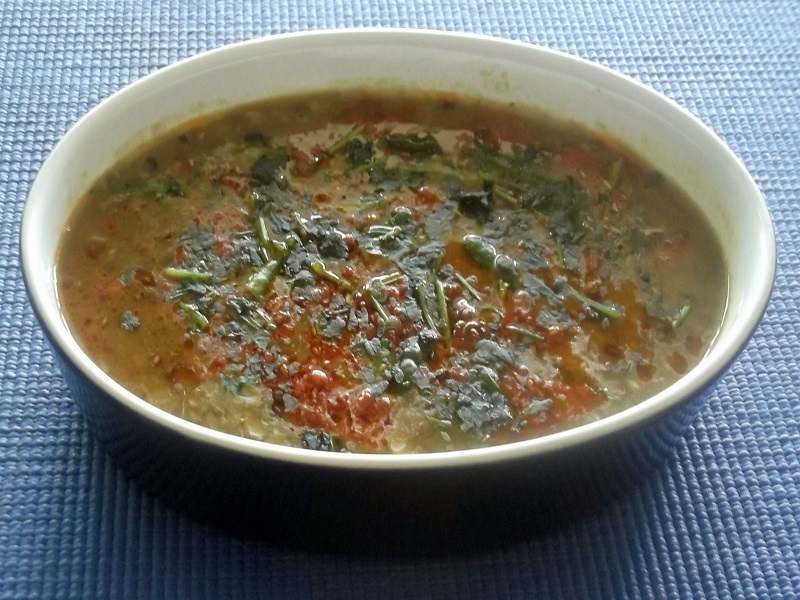 A delicious recipe of whole green gram cooked with indian spices. Sabut moong dal is whole green gram and it is very popular in Punjab. It is relished by all age groups. It is full of proteins. Best part is, if there is left-over dal, you can make delicious missa parathas by making dough with it. Wash the dal and put in the pressure cooker. Add 4 cups of water, salt, chilli powder, turmeric powder, cinnamon piece and cardamom. Close the cooker lid and keep on high heat. After 1 whistle, slow down the heat. After 15 minutes, switch off the gas. Open the cooker and if you find the dal to be bit thick, add more water and stir well. Again let it cook for some minutes on slow heat. Meanwhile, in another pan put 2 tbsp of oil or ghee and put cumin seeds and let it splutter. Then add ginger and garlic and saute it. Now, add onion and when they turn golden brown, add tomato, diced green chillies and fry it for a while. Now add this tempering into the cooker and stir it for few minutes. Finally add garam masala and before serving garnish with fresh coriander leaves. 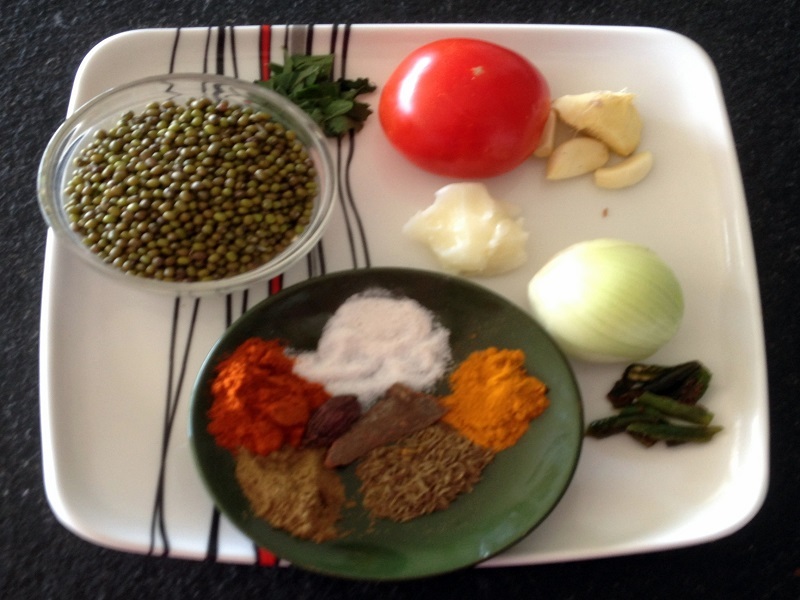 Sabat Moong Dal goes very well with parathas & jeera rice.